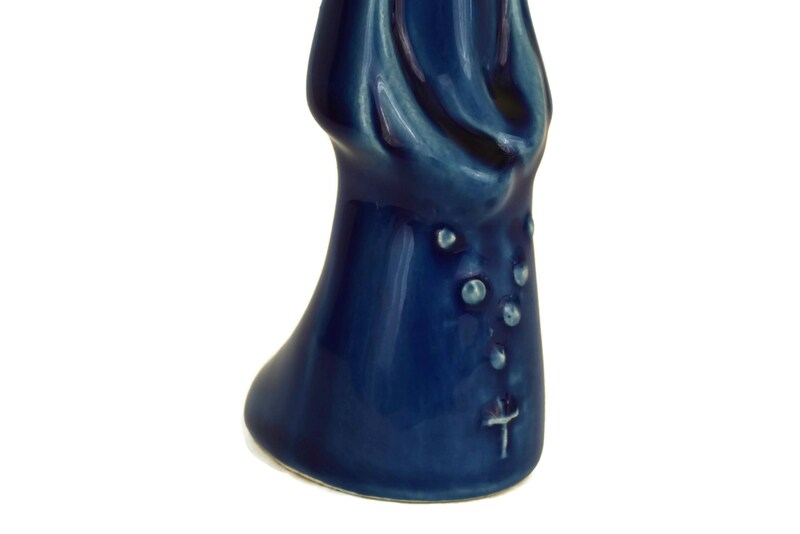 An enchanting vintage French figurine representing Saint Bernadette. 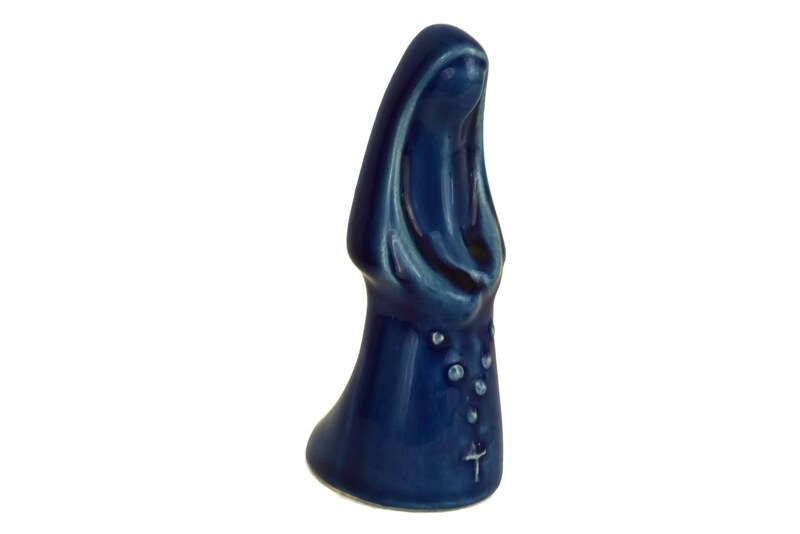 The ceramic souvenir commemorates the apparition of the Virgin Mary to Saint Bernadette at Lourdes. 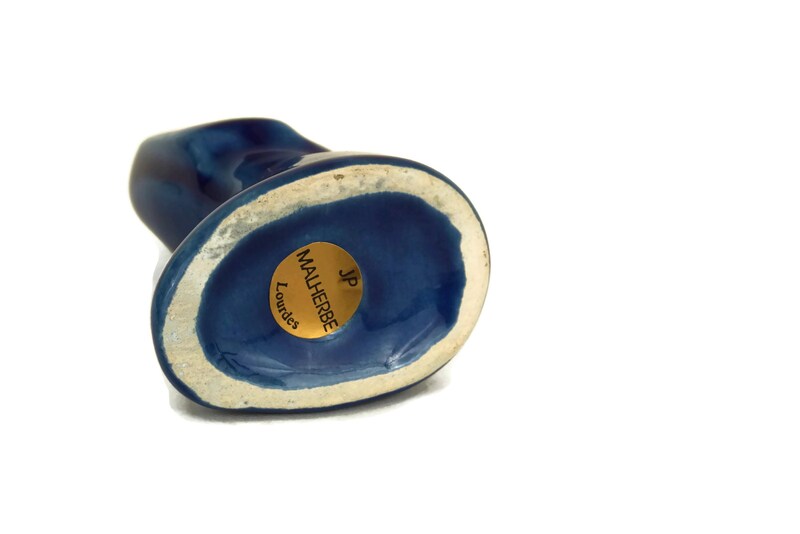 It has been created in a stylized form and glazed in a rich shade of cobalt blue. (10 cm x 6,5 cm x 4 cm). The Lourdes souvenir is in excellent condition.